Sometimes the proverbs of the olds aren't just a fixed idiom, but they see in every-day life their reflection. 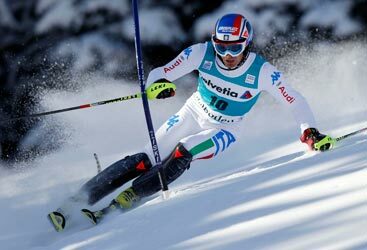 So it was for Marcel Hirscher, who had to come into terms with the famous one in the heading as he blew away a certain win in Saturday's giant slalom of Adelboden. But going on step by step, the first run of one of the most famous and spectacular Giant Slaloms of the circuit gave already a big deal of emotions, surely a great entreé for what would have been the second leg. 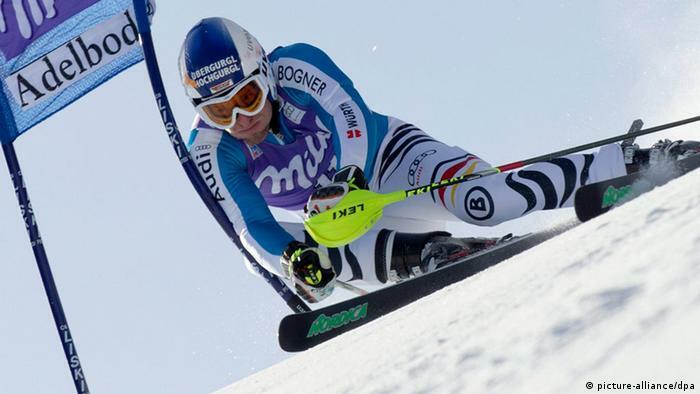 Once again at the lead of the race after the first run there were the dominants of the discipline for the past two years, Marcel Hirscher and Ted Ligety, the latter only few hundreds away from the Austrian, despite a big mistake which almost set him out. All the others, starting from Fanara were more than one second away with only two slightly big surprises happening: the first was the comeback on good levels in the discipline by Svindal (4th) and Kostelic (6th), the second the qualification of a bunch of athlets coming down with high bibs such as 52 for Caviezel and 54 for Muffat Jandet. In the second run Swiss youngster Caviezel was the first one to get close to break the limit of 1'14" and with such a time he could step by step climb the ranking in his very first appearance in a second run of World Cup. From the 23rd place of the first run he could lead the race until the 19th came down, that one being Italian Davide Simoncelli, who seemed another athlet from the first run as he passed the swiss on the lead, but together with him led the race for long as the two finished 10th and 11th. But today it was the day of the come-backs from behind as first Manfred Moelgg and then the German duo of Dopfer and Neureuther signed the best three times of the 2nd run to raise the ranking in spite of their first runs. The Italian, who was 12th at the middle of the race, showed to be the most in form of his team in the technical races once again as he rose as high as 4th with his terrific 2nd section. The podium finished very close for him, but the raise of the Germans prevented him from achieving it. First Neureuther and then Dopfer indeed, were the only one in the top 10 to get close to the time of the Italian and bettered it; the two who were 8th and 9th after the first run took the lead in front of Moelgg and saw one by one all the other top tenners finishing behind them. When the top 3 were to go down the situation had still Dopfer ahead of compatriot Neureuther and then Moelgg. Thomas Fanara, after the great first run fell into one of the many trapts of Adelboden's slope and crashed after very short time. Secure of his great lead Ted Ligety skied a little more wary than usual, but that still was enough to take the lead and put all the pressure on Hirscher's shoulders. 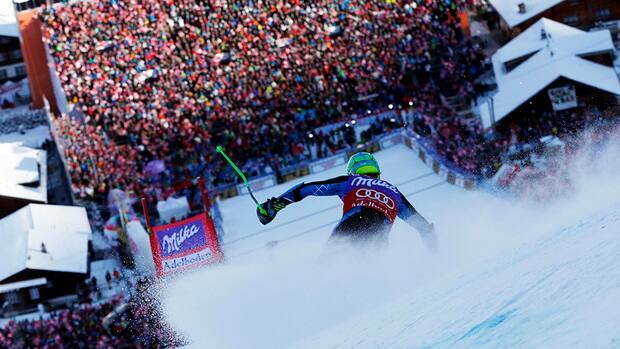 The Austrian maybe by knowing how close Ligety had been in first run in spite of his mistake, or maybe to show how better than him he could be, attacked all the way down the swiss slope and approached the last steep with a terrific advantage of more than one second on the American. But if you grasp all, you lose all. He wanted too much and tried an impossible line to enter this very last steep and almost jumped on the entering wave, that costed him an almost fall, which led to a complete stop. Only thanks to his incredible reactivity he could still finish the race, but far behind the top names, 16th. Whatever passed in the mind of Hirscher the night after the giant slalom surely seemed to affect his first run in the slalom, where he looked far more wary than usual, a little blocked even as he tried to finish the run without too big mistakes, but this time it wasn't enough to stay on top. The lead after the first run was taken by Manfred Moelgg, whose raise to the top after a couple of complicated seasons seems finally completed, who led by a very short distance evergreen Mario Matt and the more and more costant Felix Neureuther. But the race was far from being decided as the 11th, Alexis Pinturault was just 1second away from the first place and so everyone had his chances to be played in the 2nd run. The man of the come backs, Japanese Naoki Juasa, after the fabulous fairytale of Madonna di Campiglio, did something surely not as big, but worth of mention here, as he could rise in the 2nd run from 25th to 14th place. Even better did American Chodounsky, whose 2nd run time let him gain 10 positions worth of a 10th place by the end and best career result. In the early runs of the top 10 little did Missilier and Dopfer, but then it was Hirscher's turn, who at the start arrived without the ghosts that probably frightened him in the first run as he went down like only he can do in this season. Unstoppable he set a terrific time, one second faster than everybody else and even though his gap from top was quite big, the chances he could finish not on top were very slim. Indeed, one after another all the specialists of the slalom had to surrender to the Austrian and so when the top 3 was about to start, he was still leading the race with a big margin on Kostelic and Pinturault. 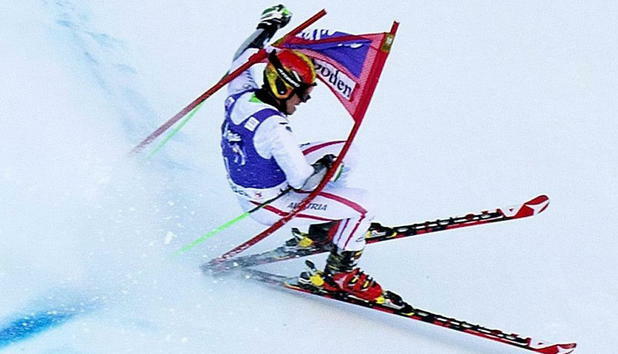 Neureuther skied well, but a couple of mistakes held him back and placed him right behind the Croat and eventually 5th. Mario Matt started with a great fighting spirit, hence risking a lot, but that didn't make him fail or fall into the traps of the setter and in the end he was the only one who could even if for little scare Hirscher as he lost a lot in the upper part of the course, to eventually make up by the end, but not enough to stop the team-mate. First run leader Manfred Moelgg had on his shoulder the burden of the mediocre day of his team and the awerness that he needed something extraordinery to stay ahead of Hirscher. He tried his all cards, but this time it wasn't enough, he skied well and took many risks, but Hirscher had been just too good. The Italian could still be happy at the end as he finished 3rd, first podium in slalom after 3 years.